Over the past several months people who care deeply about the Boy Scouts of America have expressed concern about the decision to invite more girls to participate in BSA programs. Simultaneously, incorrect information has been promulgated, only to cause more concern. Rest assured that the Boy Scouts of America organization has not changed its name. The Boy Scouts of America will continue the time-honored mission of preparing young people to make ethical and moral choices over their lifetimes by instilling in them the values of the Scout Oath and Law in order to become responsible, participating citizens. Offering programs that accomplish this mission to girls will enhance, rather than diminish, this vital work. 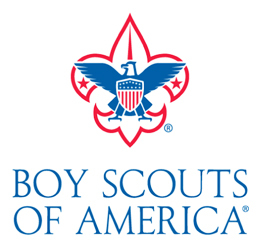 Beginning February 2019, the Boy Scout program name will be Scouts BSA. Just as now, all participants will be called Scouts. Beginning this August, in the Erie Shores Council, girls age 5 – 10 will be invited to participate in Cub Scouts. The functional unit of the Cub Scout Pack is the den. Dens will be single-gender. Local Packs may choose between all-boy packs, all-girl packs, and pack that is a hybrid of girls and boys dens. Later, girls age 11 – 17, will be invited to participate in single-gender Scout Troops and will be eligible to earn the rank of Eagle. Girls already enjoy the benefits of the Venturing and Exploring programs and this will not change. Rather than arising out of pressure from outside organizations, the desire to include girls developed organically among the families served by BSA. This is a decision made at the national level, after thoughtful consideration, to benefit American families. In England, where scouting began, girls have participated since 1991 and now make up more than one quarter of the membership. Last year, our local council served nearly 6100 youth from Wood, Sandusky, Lucas, and Ottawa Counties and the town of Swanton. Erie Shores Council is the proud owner/operator of two of the finest camps in the United States. Camp Miakonda, at the DeVilbiss Scout Reservation, is 160 acres of outdoor adventure in the Toledo metropolitan area and is the sixth oldest camp in the United States. The Wildlife & Nature Center opened in 2017 for year-round education and training opportunities for schools and other youth groups. Camp Frontier, at the 1100-acre Pioneer Scout Reservation in Williams County, offers camping, cross country skiing, hiking, backpacking, fishing and more. It is the home of Boy Scout resident camp where we serve 2800 Boy Scouts every summer from approximately 7 states. BSA is not in competition with the Girl Scouts. In fact, our council partners with Girl Scouts through the Scoutreach program in the central city. Today girls have many options to grow outside the classroom. Cub Scouting and Scouts BSA will be an important addition to that list. Scouts learn hundreds of lessons and many of these are carried to adulthood. What has made Scouting an enduring success is the tenets of Scouting and the way lessons are learned. A Scout is trustworthy, loyal, helpful, friendly, courteous, kind, obedient, cheerful, thrifty, brave, clean and reverent. These timeless qualities are learned through fun activities such as camping, hiking, and whitewater rafting. Scouts grow to be leaders in business, the military, their communities, government, and various professions. Girls and their families want and deserve this experience. Boys and girls are eager to be challenged and to leave their zone of comfort. Scouting offers this in a safe, supportive, and non-threatening environment. Success in any endeavor in life comes after getting up one more time than you have fallen. Scouts know how to do this. To learn more about our local council and Camp Miakonda Summer Day Camps visit www.erieshorescouncil.org. Summer camp is open to all boys & girls entering grades 1-5, whether they are new to Scouts or have been Scouting this past year. For five full days, youth can enjoy swimming, fishing, archery, BB gun shooting, BMX biking, STEM education, team-building activities and more. Since When Did Sports Equal Patriotism?